Kolkin Kayaking and Rafting Adventures — Kölkin Coffee Co.
Our mission at KKRA is to coordinate a river adventure for local non-profit agencies to assist them in creating an environment for the health and well-being of their clients. We’re a non-profit serving non-profits. From conversations with local leaders, we discovered there were numerous groups, such as teens and adults in the judicial system, foster care, various counseling agencies, Volunteers of America, and the like that were in need of an activity that would help those they serve grow in areas of self-confidence, team-work, trust, and both physical and emotional strength. The founders of KKRA have been kayaking throughout Southern Indiana for many years, and understand the tremendous power the sport has in shaping the individuals who attempt it for the better. We want to share that knowledge and experience with the people in our community that can benefit from it most. Southern Indiana is very fortunate to have great rivers that are relatively close and are perfect for the development of paddling skills, as well as a gentle relaxing day of paddling. This course begins with basic life preserving skills. Flipping your kayak is a common occurence; even the most advanced paddlers take a plunge every once in a while. Therefore, it is imperative to develop water/swimming skills and the ability to right the boat after it has rolled. This course contains a significant increase in wave height. The river is usually wide enough and does not require tight technical moves to navigate through obstacles. 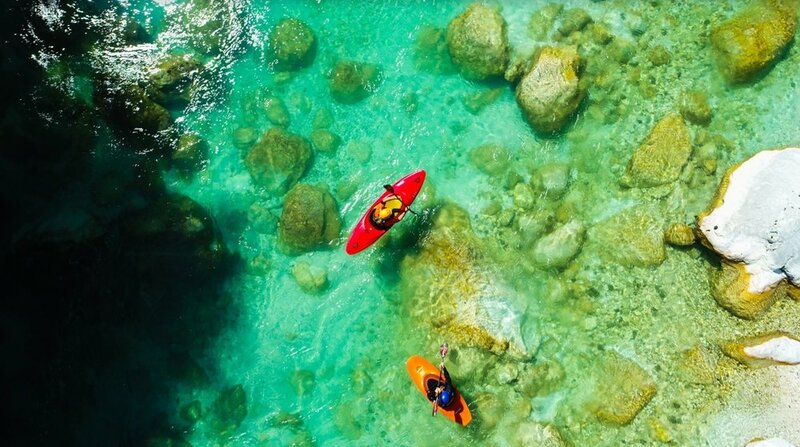 In this type of water the paddler experiences significant challenges in maneuvering their boat through rocks, entering and exiting eddies, and whitewater skills to overcome significant rapids. In this course the kayaker will take their basic paddling skills learned in the previous course and apply them to water that moves. Now it's time for the paddler learn to use the hydraulics and maneuver their kayak under low to moderate stress levels. We work with all skill levels from rookies to pros. Our first stage of activity provides a relaxing float on a river or a lake/still water. There’s nothing scary or intimidating about that! If learning a new skill is what you're after, stage 2 provides an opportunity for an individual or group to learn the skills necessary to begin a lifestyle of paddling whether whitewater or lake kayaking.